It’s been a lovely end to the term with chocolate in abundance. However, it has also been a time to reflect with the children upon the religious values of forgiveness and renewal. I commented on the lovely Year 3 service last week and it would be remiss of me not to mention Class 5C’s assembly this morning. They performed beautifully in front of the whole P&S School; not an easy feat for 9 and 10 year olds. 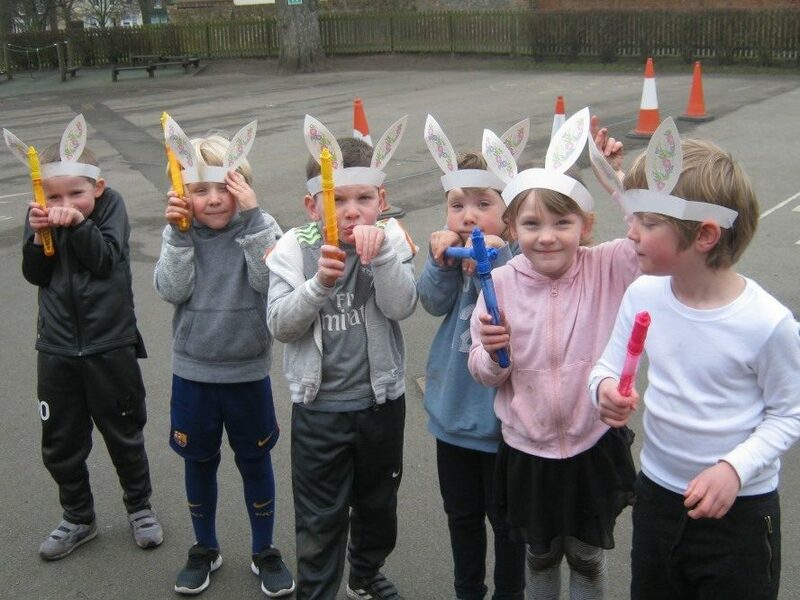 The children in the N&I School enjoyed seeing the Easter bunny and the children in the P&S enjoyed their Easter treats too. Thank you to the PTA for organising these gifts for the children. Thank you for supporting this event today. We have raised well over £1000 for this worthy cause with further donations being received as I write. We are still on course to launch our new uniform ready for September. We now have a swatch of the new skirt/pinafore material which complements the new blazers. Both can be seen in the P&S entrance should you wish to have a sneak preview. Before full production can commence, we need an idea of the ‘size profile’ of the school. To this end, outline sizes will be taken from the children immediately after Easter. Parents do not need to be there for this (our staff will always be present) and you are not committed to buy the sizes we measure at this stage. The process is merely designed to help us order the right quantities in the right size. We will be selling the new uniform over the summer and all parents will be welcome to attend when items are being bought at this stage. Thank you to those parents who responded to the questionnaire about uniform in Nursery & Reception. We will be studying the responses over the holidays and will share our thoughts with you in due course. I hope you have a wonderful Easter. I must admit, I’m ready for a break and looking forward to spending time in the Alps! Have a lovely time with the children too!